Knowledge is power, especially when you’re caring for someone’s health. 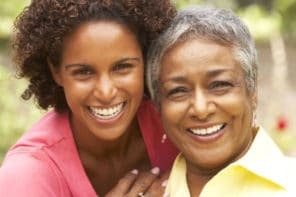 If you don’t know what happened with your older adult’s medical care in the past, it can be more difficult, time consuming, or expensive to get them the best care now and in the future. Gathering copies of your older adult’s health records means you’ll have the key facts about their medical conditions at your fingertips and will be able to share them with medical professionals as needed. 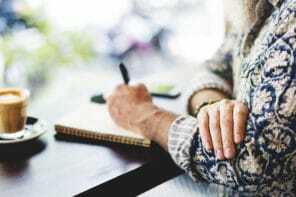 We share 6 reasons why it’s a good idea to get a copy of your older adult’s health records and how it improves their health. For most adults, a lifetime of health records are spread across multiple doctors, hospitals, and healthcare facilities. It’s important to gather as many of your older adult’s health records as possible and keep it organized. The purpose isn’t just to have them, but so you can get a better understanding of their health history. For example, your older adult could have had surgeries or significant medical treatments in the past that you’re not aware of. If you had that information, it could help you make care decisions or help their doctor better treat current conditions. Having a copy of current health records also allows you to review them before a doctor’s appointment. You can make notes about questions or concerns about current treatments and ask their doctor to explain during the appointment. Unfortunately, medical records often contain mistakes. Having a copy of your older adult’s records means that you can find and correct any significant errors. Then, when those records are being shared between doctors, you’ll know that they’re getting accurate information. The information and instructions that doctors give during an appointment can be complex and take time to understand. Having a copy of the record gives you something to review at home and compare your own notes against to make sure you heard and understood everything. And if anything is unclear, you can follow up with the doctor’s office right away. If your older adult has multiple doctors, it can be tough to keep track of all the medications they’ve been prescribed. Having their medical records means that you can put together a comprehensive list of their medications, prescribing doctors, when each was started, and what health condition each one treats. Then, anytime your older adult has a doctor’s appointment, you can bring the complete list of medications for the doctor to review. Lab tests provide a lot of useful information about your older adult’s health. If you’re able to keep an eye on lab tests over time, you can see if your older adult’s health is staying steady, improving, or declining. Plus, if their doctor didn’t go over all the results with you, now you’ll have a chance to mark the items you have questions or concerns about so you’ll be able to ask during the next appointment. Also, you can usually request lab test results directly from the lab, so you don’t have to go through the doctor’s office to get them. In an emergency, having a copy of your older adult’s health records in your hospital essentials kit can give medical professionals the information they need to better treat them. Plus, you’ll be confident of the facts when sharing basic information like height, weight, allergies, and medications. Having the records available for reference might even cut down on the number of tests that are needed and can provide a baseline for comparison against current tests. For example, having past EKGs on hand can be very helpful when doctors are treating someone for an emergency related to their heart.